It Makes Lovely Wall Art, Too! 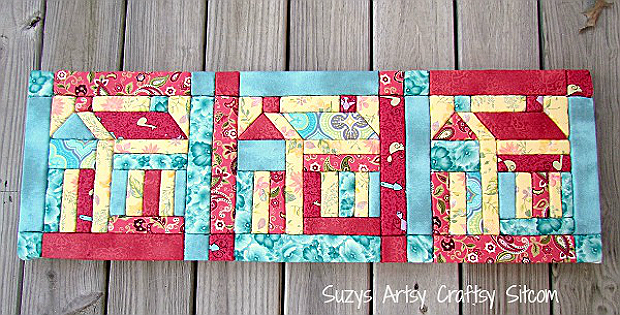 Make a charming bulletin board or piece of wall art from fabric scraps and faux House blocks. This is a simple project that can be easily altered in shape, size and design. There’s no sewing involved. Instead, fabric pieces are applied to a styrofoam base. 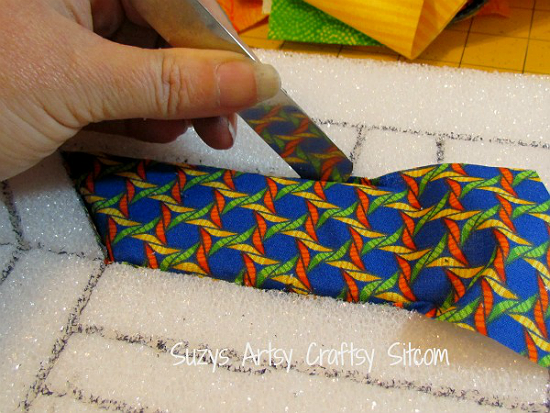 Draw the shapes on the styrofoam, in this case House blocks, and tuck the fabric into the foam along the seam lines. Fast, easy and very versatile. While this piece was created for use as a bulletin board, it will be lovely hung anywhere that needs a spot of color. Once you understand how it’s made, it will be simple to create your own design using different quilt blocks. Half-inch thick styrofoam packing sheets of 36″ x 12″ (available here) were used for the creations shown here. Look for larger sizes if you prefer a bigger finished piece. Full instructions are provided by Suzy from Suzy’s Sitcom. Learn more here. 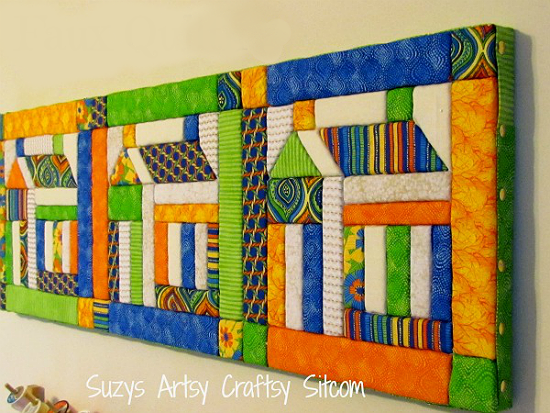 Click here for the free “Recycled Crafts – Faux Quilted Bulletin Board” tutorial.